February had some beautiful days this year. 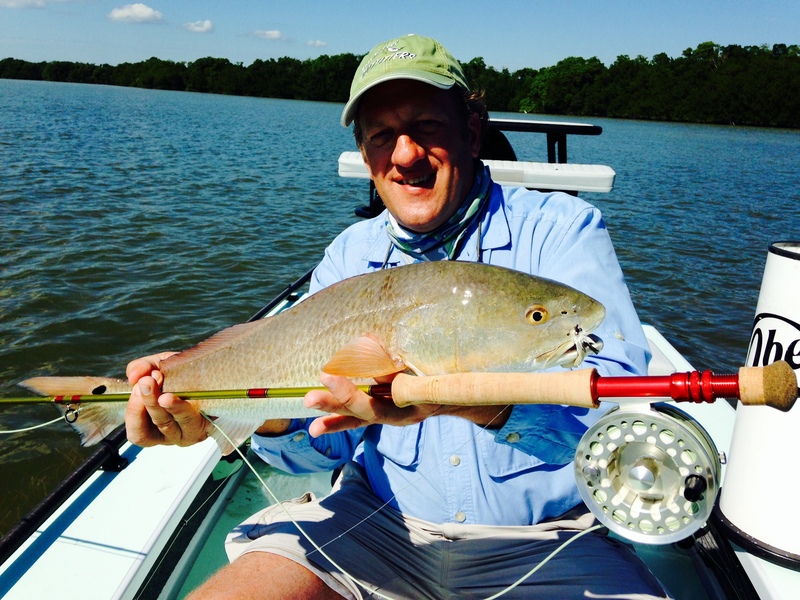 Although we did have our share of cold fronts, when the weather cleared up, fishing was spectacular. This February was particularly special because I took delivery of my brand new Maverick 17 HPX-VII. 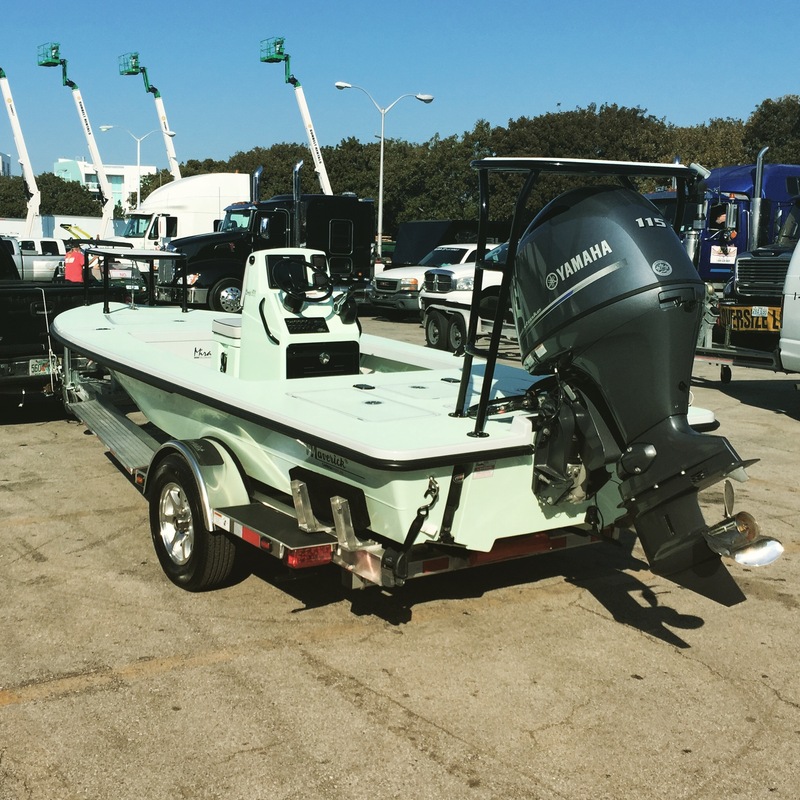 I am super excited to be part of the Maverick team and the boat has already seen its fair share of fish slime! 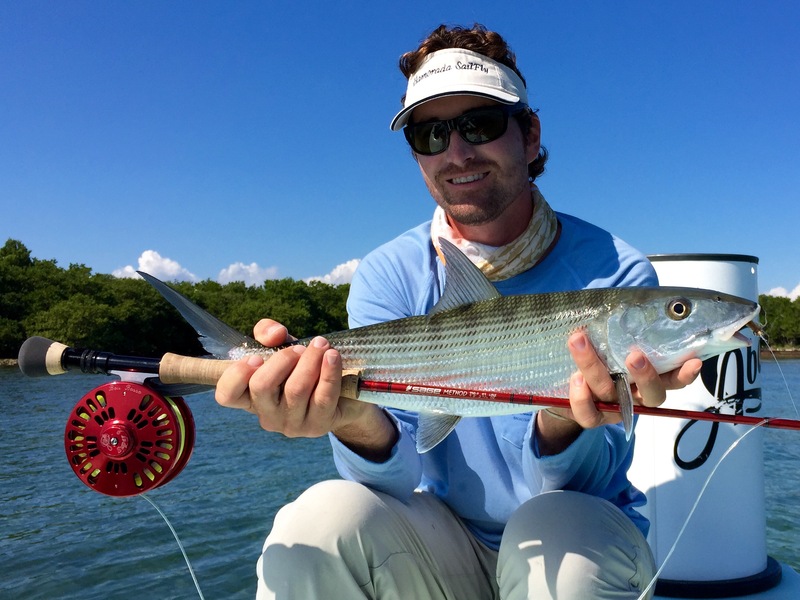 One of the best sights of February 2015 was the every growing bonefish population. I had some wonderful bone fishing days this past February. 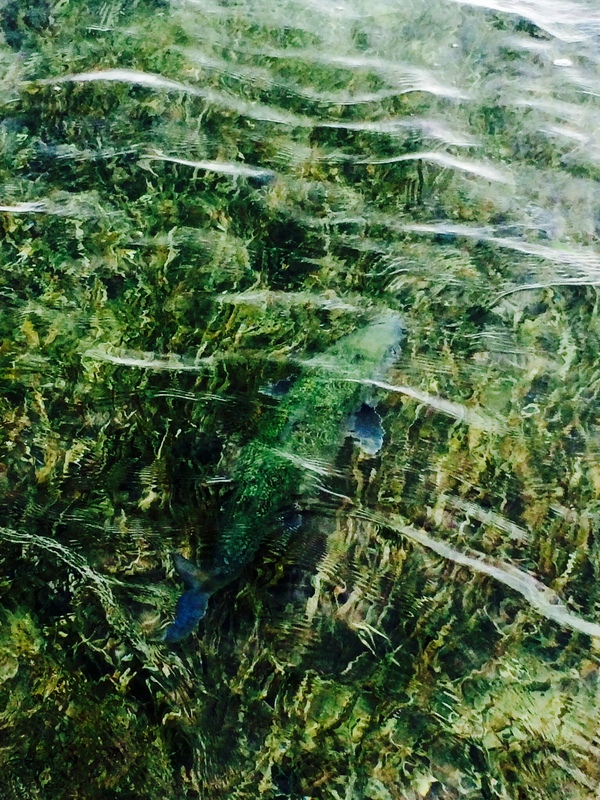 Not only did I see large schools of fish, but I also was able to target smaller groups with larger fish. 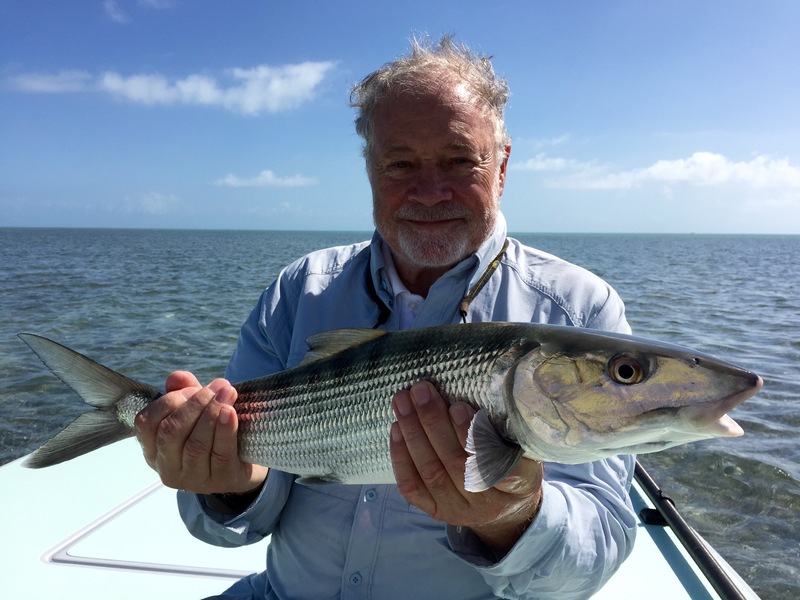 Catching a bonefish over 10 pounds is an incredible achievement. Betsy Bullard was able to do so with me this February. For some reason, once a bonefish reaches about 8 pounds, it is a completely different animal than its smaller sized counterparts. 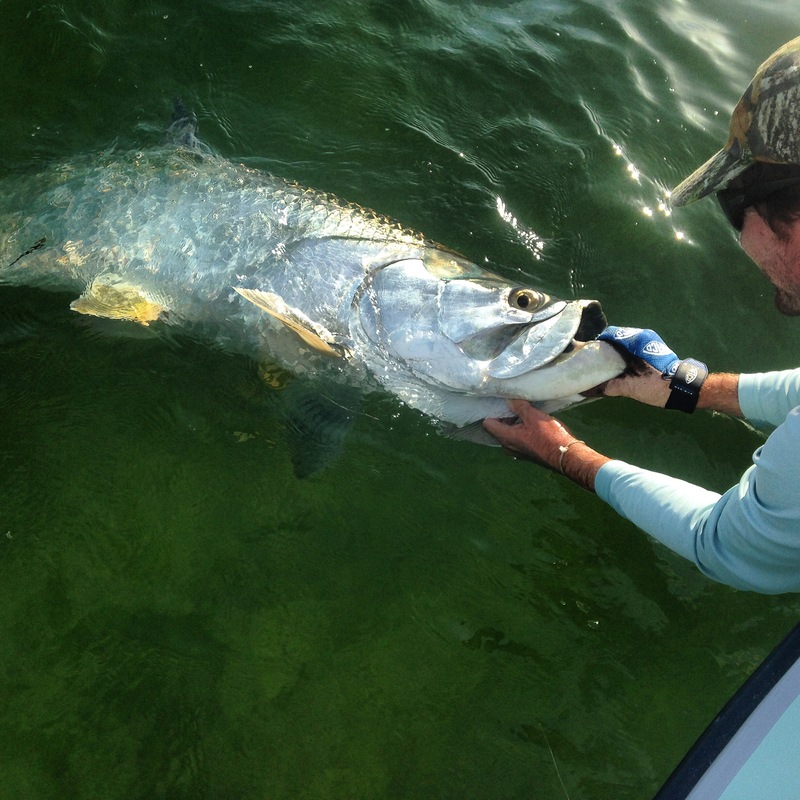 There were also a handful of days where the tarpon showed up in February. We managed to put a few boat side and admire the infinite beauty that the prehistorical fish have to offer. 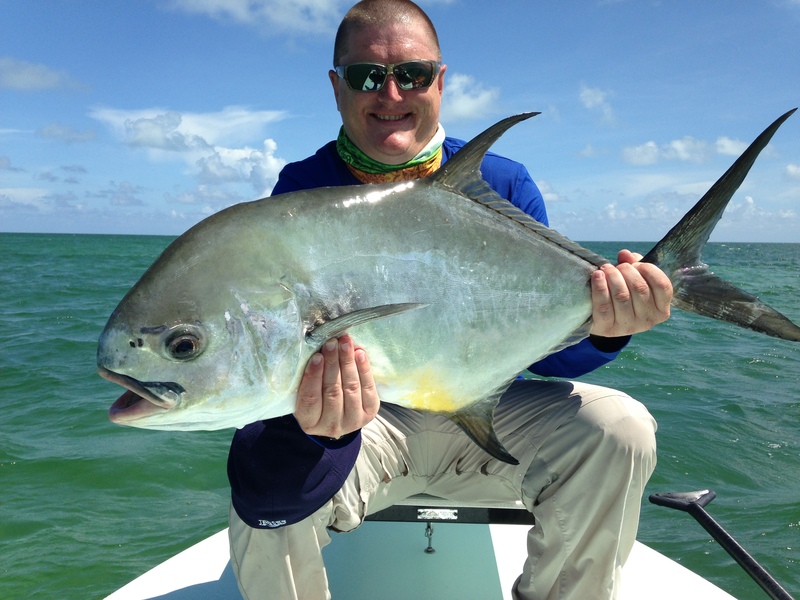 January turned out to be a wonderful month in Islamorada. This year we are experiencing more of a winter-like climate and it has the fish motivated to cooperate on days where the water temperature warms up and the winds calm down. 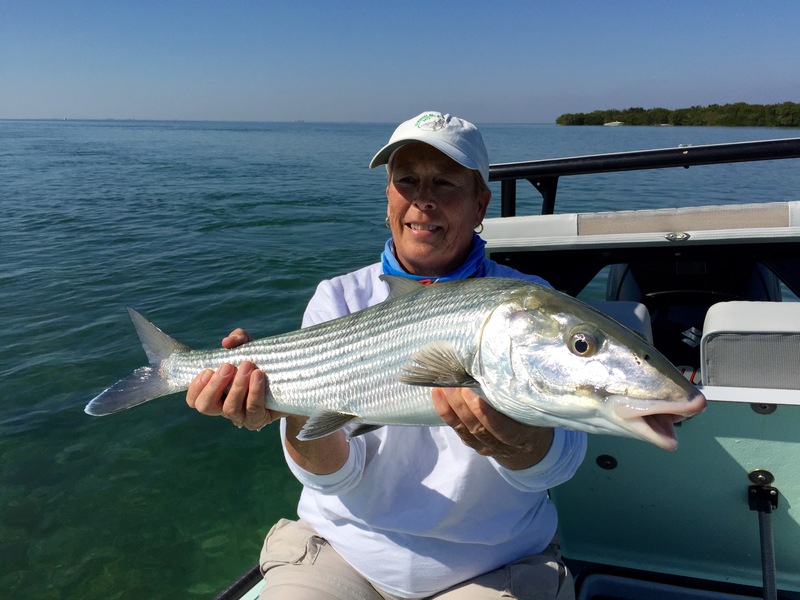 One thing that is of true significance to mention for the month of January is the increase in bonefish population in and around Islamorada. Five years ago, Florida experienced a solid month of below normal temperatures. 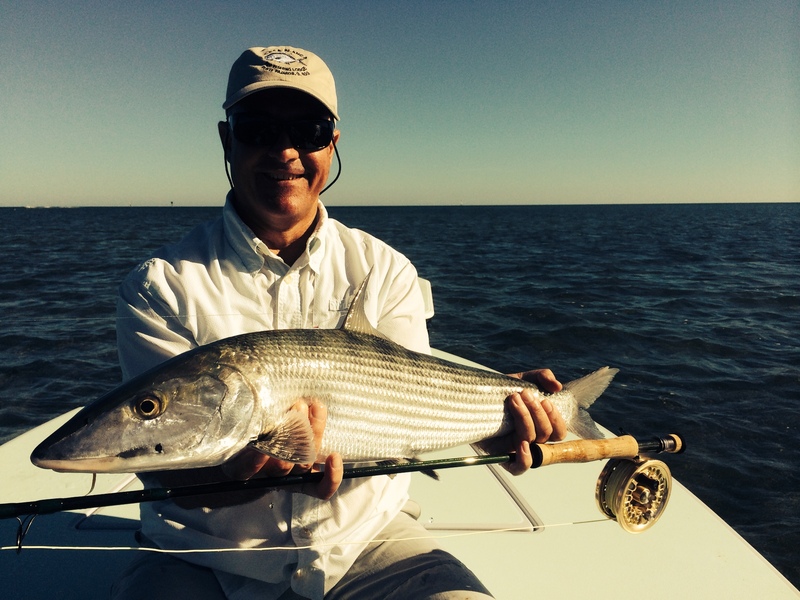 This “freeze” as it has been called, adversely affected our bonefish, snook, and juvenile tarpon population. 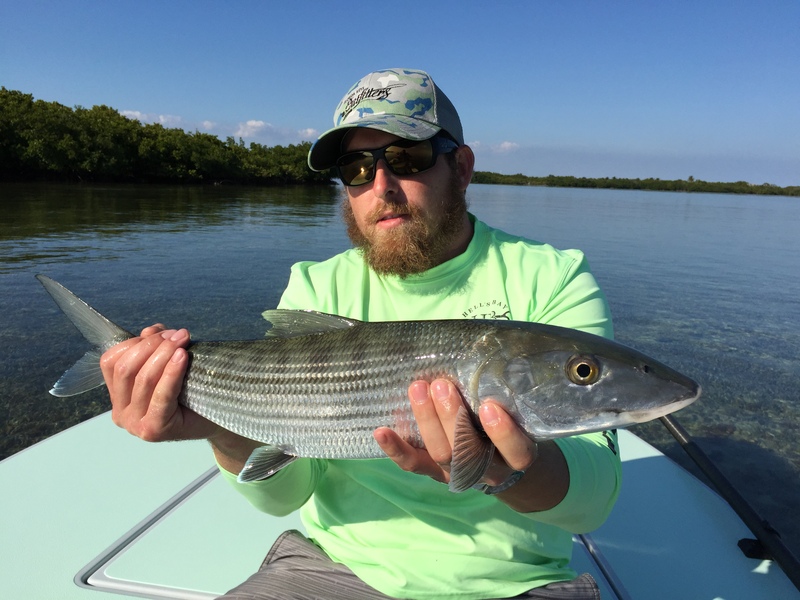 Though the snook and juvenile tarpon population made an earlier comeback, there have been numerous concerns about the bonefish population. Well this month I witnessed for the first time in five years some of the most promising bonefish sightings. Not only did we see them, but we caught plenty of them as well. On the days where the weather did not seems promising to go and sight-fish the flats, I ran back into the Everglades National Park to bend the rod and just have fun. One of my favorite fish to eat is the triple tail. Above there is a picture of my good friend and client Angie holding a 14lb beast of a triple tail. A triple tail of that size puts up an amazing fight and also provides for arguably one of the best seafood meals a person could ever ask for. 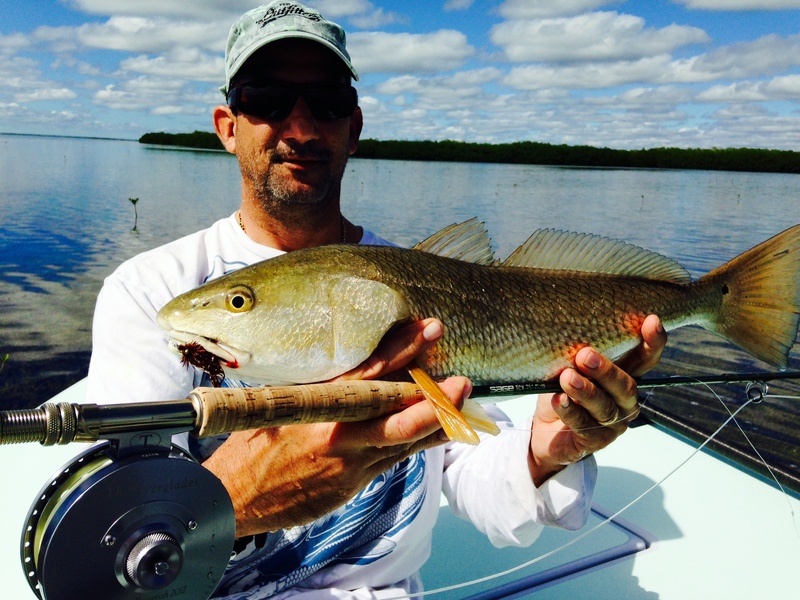 The winter months are always unpredictable in the Florida Keys. Although I can guarantee you some of the prettiest weather in all of the United States for that time of the year, you just never know when a front will roll through and limit your fishing options for a couple days. (Above you can see a picture of a front about to roll in on us. It is an amazing sight to see!) With the fronts come north winds and temperatures in the mid 60s upward. The days after the front offer warming water temperatures and low wind. This combination can make for some of the most comfortable fishing conditions we have all year. This past December, water temperatures struggled to get high enough for tarpon to float up in numbers where we could sight-cast them with a fly rod. 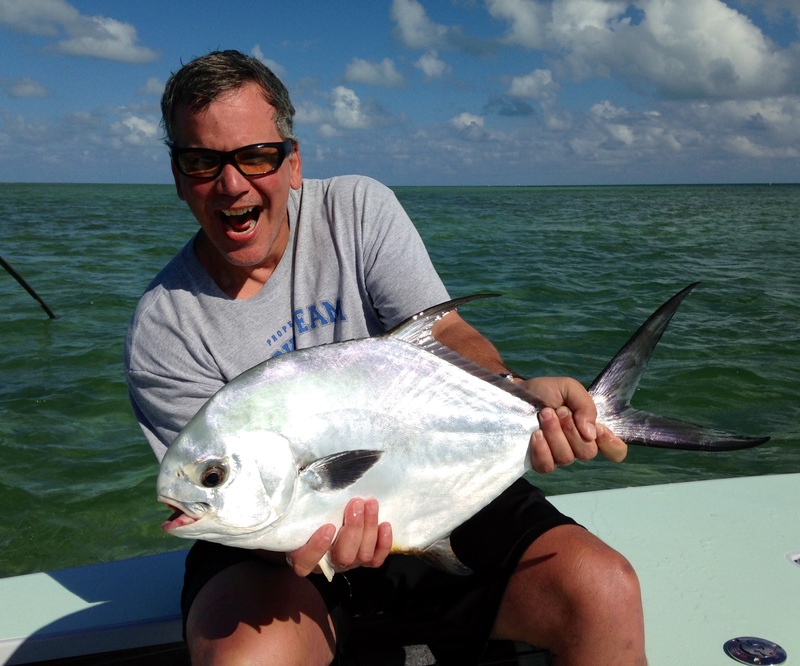 However, towards the end of the month we finally had the right conditions and managed to land a beautiful, first-time tarpon on fly, for a young man from New Jersey. December was a month of firsts. 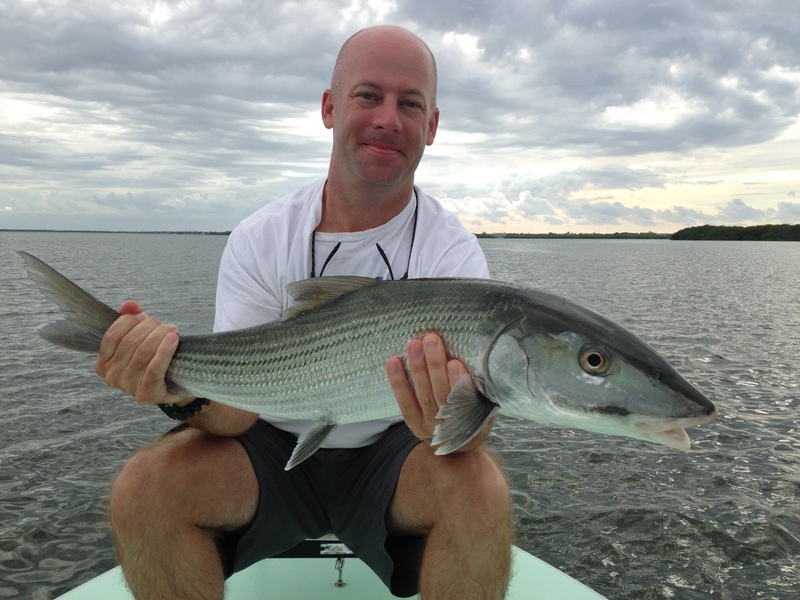 We also managed to land a first-time bonefish for my good friend and client from Colorado. 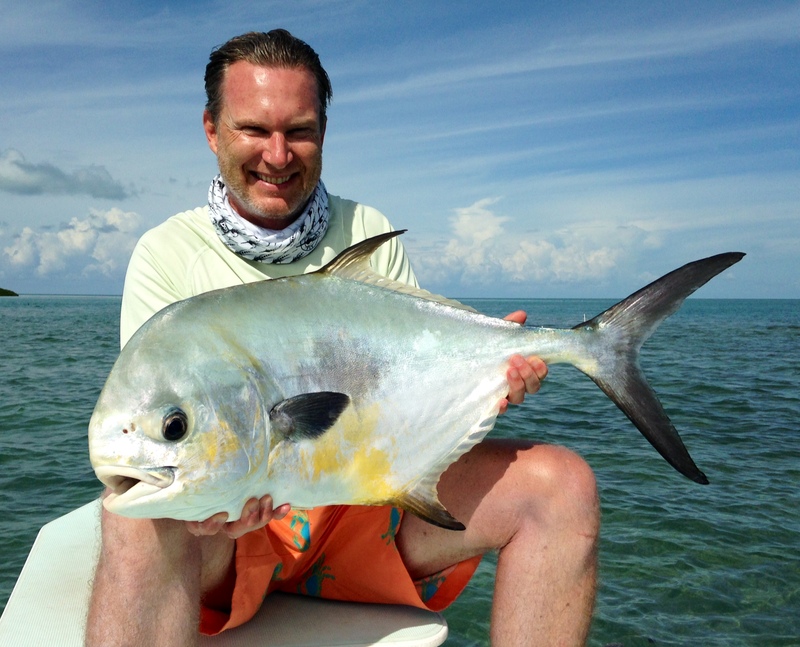 Some days the weather just will not allow you to target the trophy species that some people insist on going for. Having a flexible client this time of the year is such a blessing. 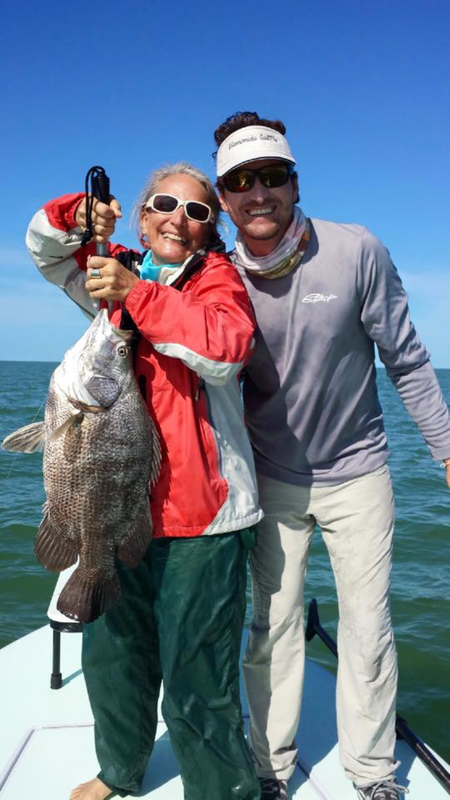 Although certain weather conditions may prohibit you from targeting bonefish, tarpon, or permit; there are still plenty of other fun species to target. 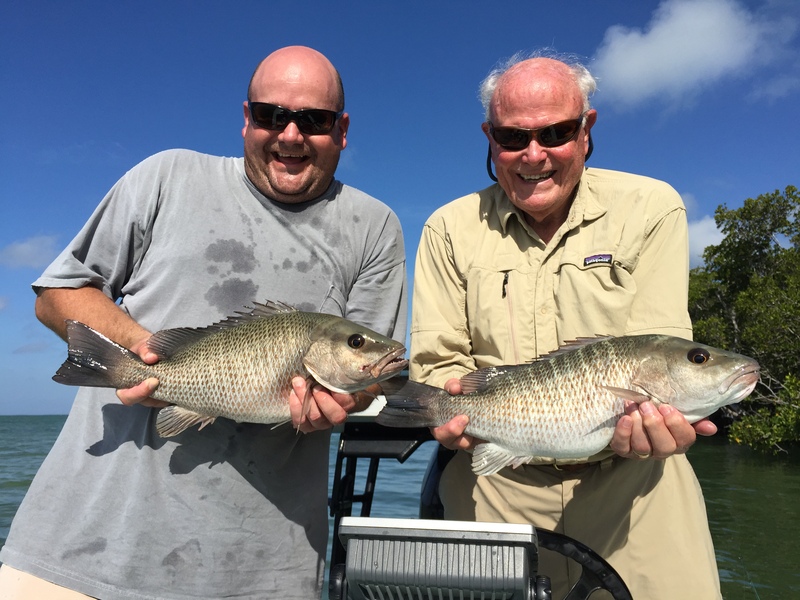 Paul and his father fished with me just before Christmas. Unfortunately the water was still just a couple degrees off from where we wanted it to be to target tarpon. Instead of beating our heads into the ground trying to catch a tarpon, we ran to the backcountry of Islamorada and had an absolute blast catching dinner for the rest of the family that night. NOVEMBER provided some great fishing this year. Usually November is the first month where the Florida Keys actually experience a bit of a cool down. In between fronts the weather can be absolutely priceless. Many days you hardly break a sweat. The change in water temperature typically gets the fish schooled up and moving. 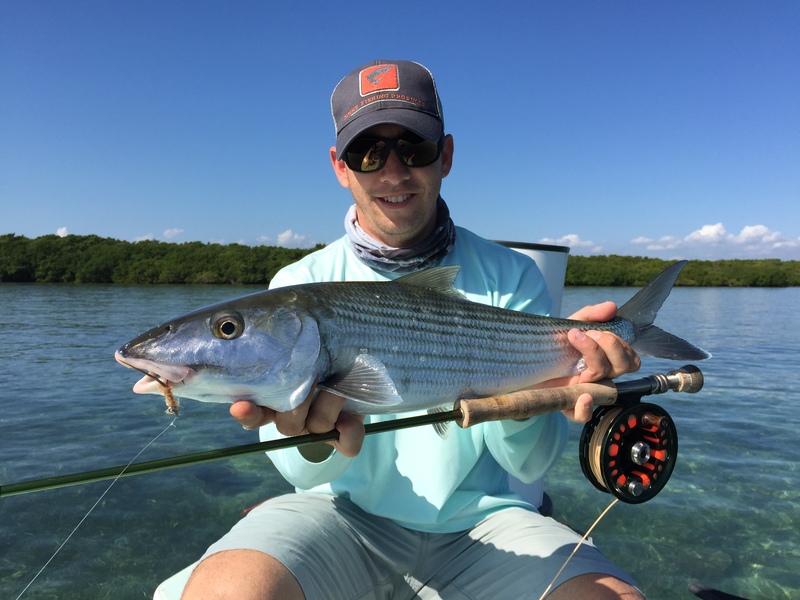 Bonefish especially school up during the cooler months of the year. 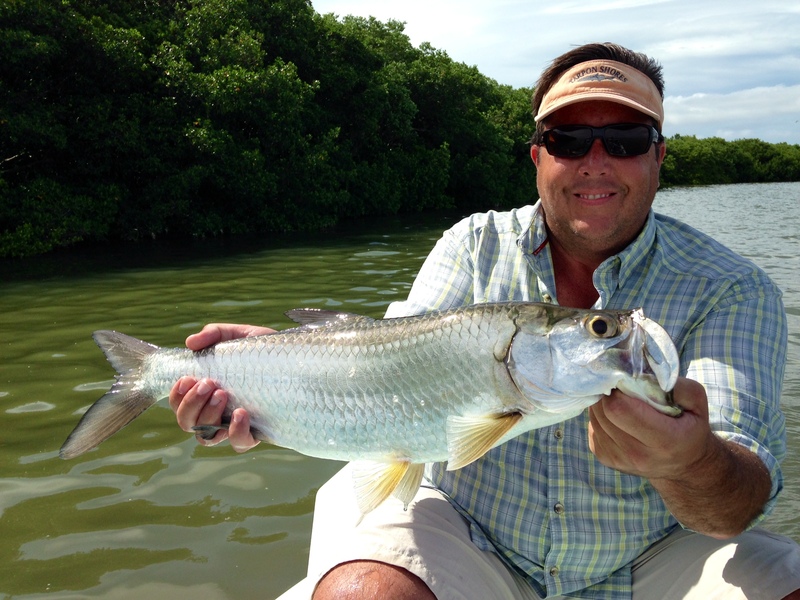 Typically you can find large groups of bonefish migrating down the oceanside on those beautiful, blue-bird sky days. With winds out of the north, the oceanside provides an escape from the wind and one heck of a scenery to look for the large schools of bones. 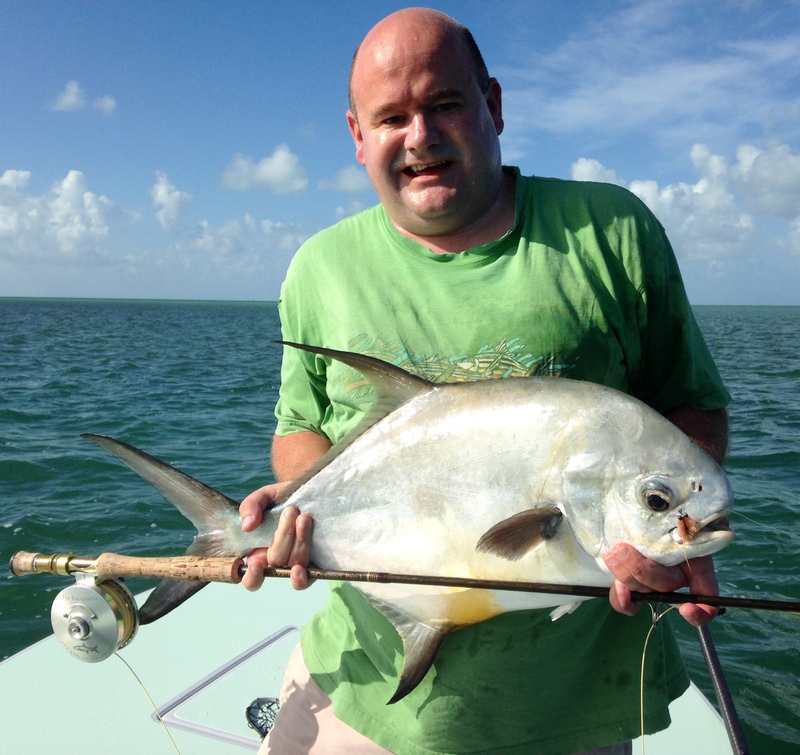 The fish vary in size, but it is not atypical to catch a double digit fish like the 10 pounder shown above. Sometimes the water temperature gets too cold and we run to the backcountry of Islamorada to target snook and redfish. 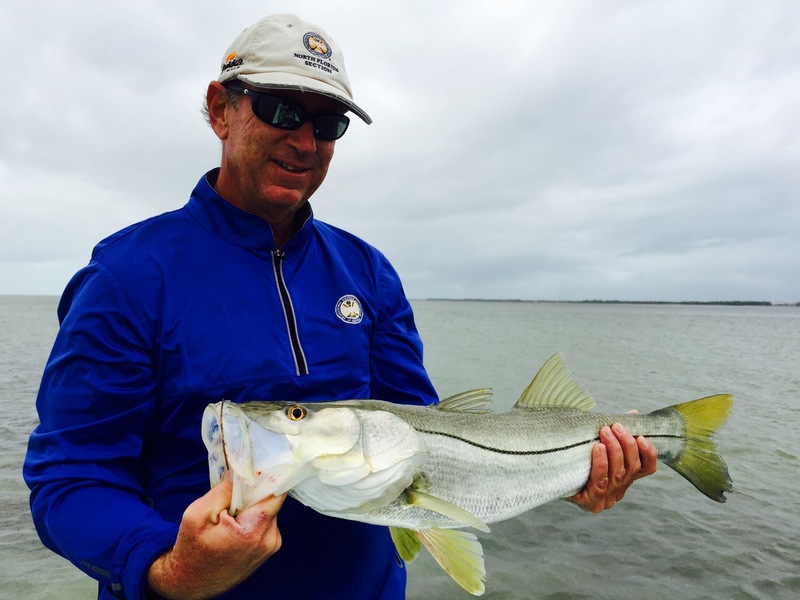 These are a great consolation prize and a lot of fun to stalk on the flats.